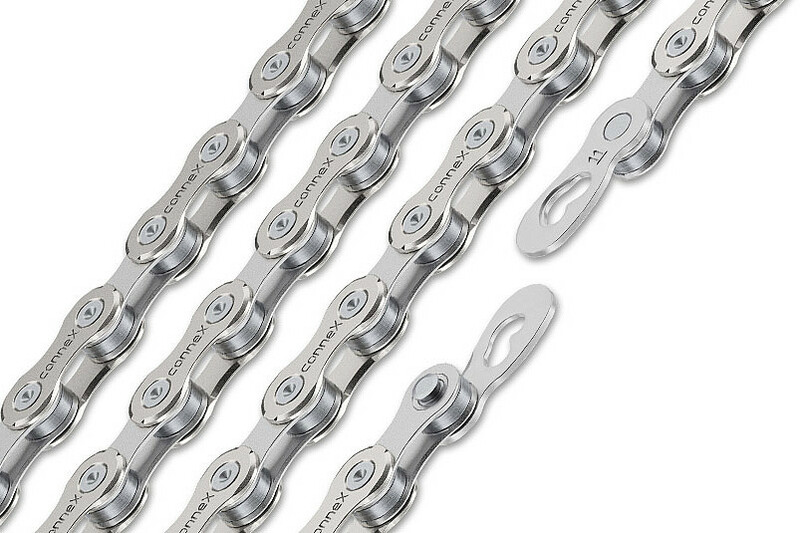 Our 11-speed chains are perfectly suited for the latest generation of shifting systems, which are used in state-of-the-art mountain bikes or road bikes for example. 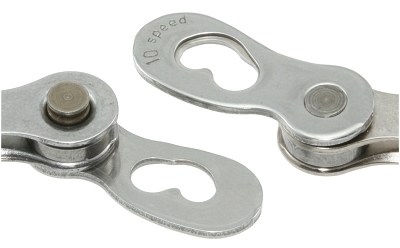 The Connex11sX top model with stainless steel inner links provides maximum wear resistance. Speed Wing, the innovative outer plate, ensures particularly rapid and silent shifting on our 11-speed chains. The newly developed peripheral chamfering of the outer plate ensures optimum chain guide and gear-changing performance. And for optimal absorption of the high shear forces through extreme transmission, we have implemented a completely innovative process for radial riveting. This process, in combination with a special pin coating, guarantees top performance and long wear. And it goes without saying that each of our 11-speed chains comes with our legendary Connex Link.